A nice tasting moment is waiting for you with this champagne that releases fragrances of Granny Smith apples and passionfruit. 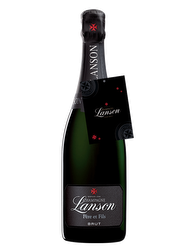 The Pinot Noir, the Pinot Meunier and the Chardonnay compose a supple and complex mouth joined by numerous thin bubbles. The tasting is ending with a long and persistent finish showcasing a mineral side that is refreshing and vivifying. Louise Pommery initiated the construction of the maison’s wide underground cellars. Those “Crayères” stand today among the most atypical Contemporary Art galleries. 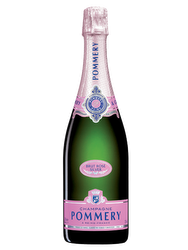 Established in 1858 by Alexandre Louis Pommery as a wool and wine maison, Pommery established itself as a leader on the Champagne market thanks to the innovative and entrepreneurial spirit of Louise Pommery. Forerunner in business, she also set the foundation of what is today known as corporate philanthropy by imagining a purposeful redistribution of the maison’s wealth. Terroir: The grapes selected for this Champagne Brut Silver come from 20 crus of the Côte des Blancs, Reims Mountain and other Champagne’s plots. Viticulture: The vines are given much attention to all year long with a selective pruning during winter. Harvests are handpicked. Vinification: This Pommery Brut Silver is a blend of 42% of chardonnay, 35% of pinot noir and 23% of pinot meunier with a light dosage of 9g/l. It matures for 36 months in the domain’s chalk cellars and lays down for another 6 months after the disgorgement process. Best Champagne I have tasted. Clean and crisp.